1. 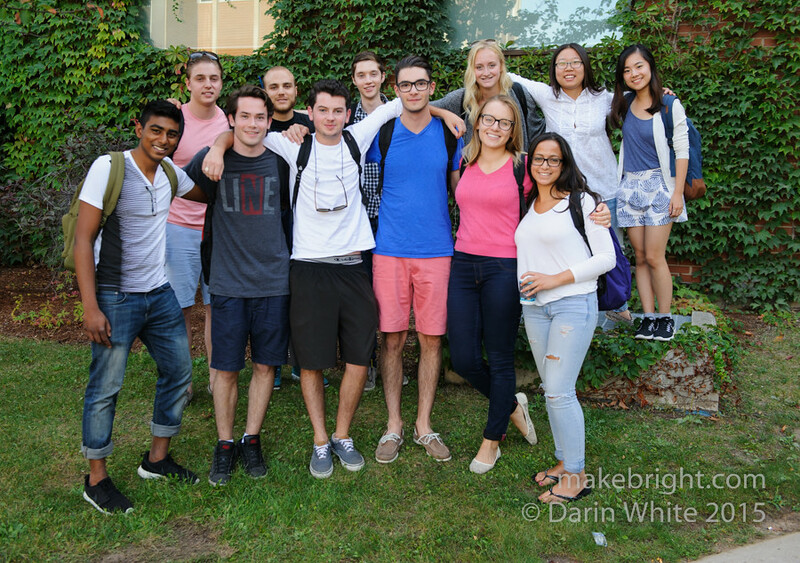 The Schlegel Centre for Entrepreneurship sponsored us! Massive Maker Expo thank you to you for believing in us and helping us pay the bills. 2. We actually went ahead and hooked up Laurier’s ENTR200 course to the Expo. This is an absolute paradigm of cooperative effort. I asked Stephen back in May if we could connect with Laurier. He talked with Laura and Victoria. My co-organizer Cam Turner and I came by to meet at Laurier. Then Laura did a lot of figuring out about how this would actually work in practice, measurables, logistics, etc. Cam worked from our end to engage makers, create a handbook, and figure out the nuts and bolts. Victoria got us funding. And then I fulfilled my promise to Laura that I would return in the fall to fire up her 120 second-year biz students with a couple talks and a lot of Maker Expo energy. I did just that on Tuesday this week. After three hours and two talks I came away, as I always do at Laurier, with an awesome return on my contribution. Excellent questions. Engaged students. Smart as hell. I glimpsed the future at Laurier and it looks very promising. And of course, I shot a few pics while I was there. Hey! Makers of Maker Expo! Here are some smart people you’re definitely going to want to meet on Saturday. We are all makers. This is Waterloo Region. they stayed after class to help me out with a photo op. Champs! Go Hawks! See you on Saturday at Kitchener City Hall.